Exclaim! 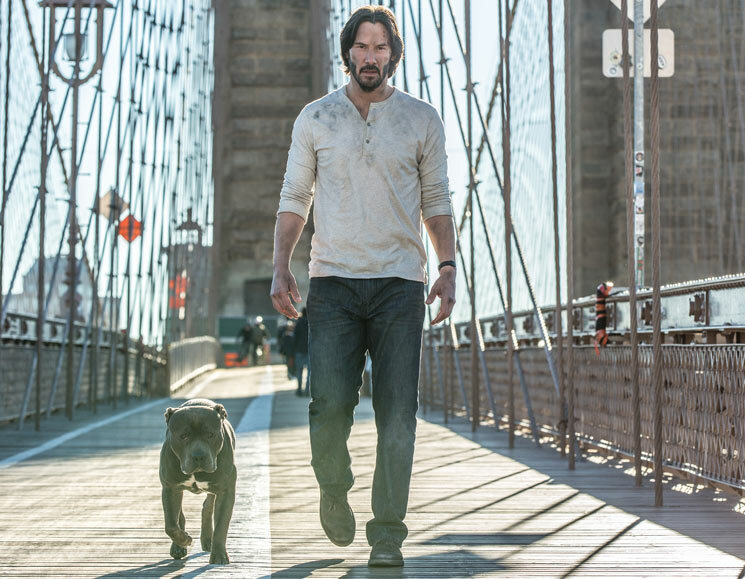 didn't review John Wick when it came to theatres in 2014, but can you really blame us? The premise sounded awful: it promised only the story of a former assassin who seeks vengeance against Russian mobsters after they kill his puppy and steal his car. It starred Keanu Reeves. If Nicholas Cage was in it, we definitely would have thought its Canadian distributor, eOne, was pranking us. But John Wick was no joke; it was actually the best action movie in years. And somehow, its sequel is even better. Chapter 2 picks up where its predecessor left off, with John living on Long Island in a chic suburban home (with a new pooch to boot). But when a dark figure from his past, Santino D'Antonio (Riccardo Scamarcio), comes back to haunt him, he's forced to return to the life he left behind. Caught up in a conspiracy involving the death of D'Antonio's sister, a price is put on John's head, and seemingly every assassin in the Western world is after him. Working with the few confidants he has left in New York and Europe's criminal underbelly, he concocts a plan to take down the man trying to pin the world against him; it mostly involves killing everyone who crosses his path. In 2014, before John Wick was released, director Chad Stahelski's resume read like a first-time director who only got the gig because he was Reeves' former stuntman in The Matrix series. Now, he feels like the future of action films. From chaotic car chases to acrobatic action scenes involving everything from pistols to pencils (yes, the unorthodox weapon makes a violent comeback), Stahelski is a master of movement here, employing tricks that have never been seen on film and scenes that will likely be imitated in action movies for years to come. The final fight finds Reeves squaring off in hallways and rooms filled with hundreds of mirrors — the fact you can't see a single reflection of the crew or cameramen is extraordinary.